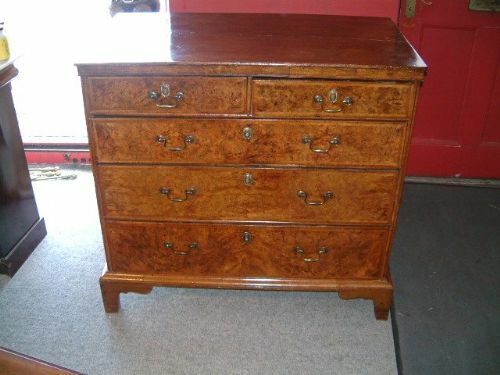 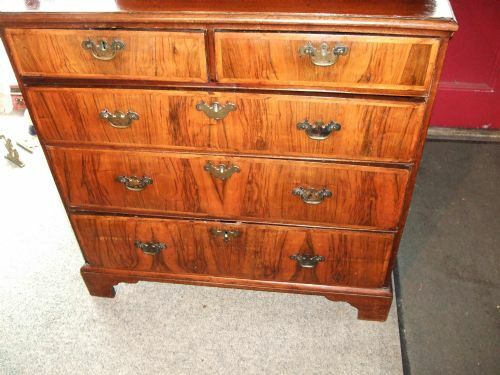 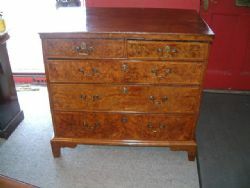 18th Century Walnut Chest of Drawers Superb Colour & Figuring. 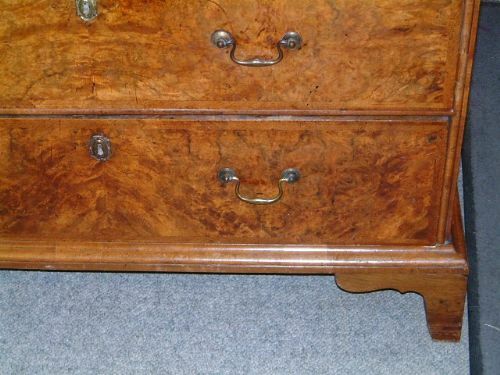 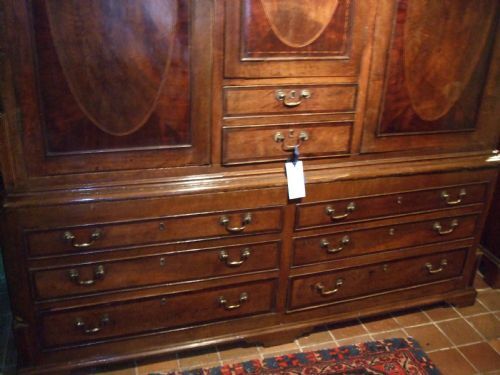 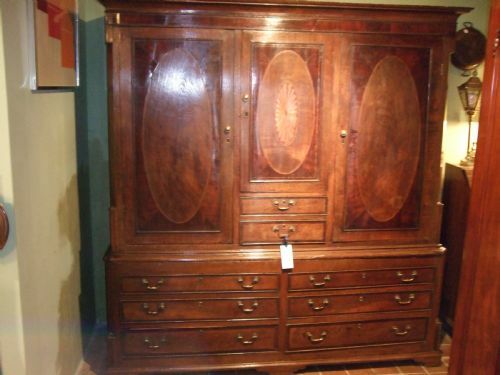 18thC Figured Walnut Chest of Drawers. 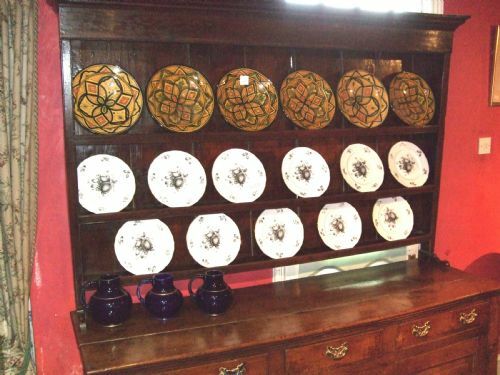 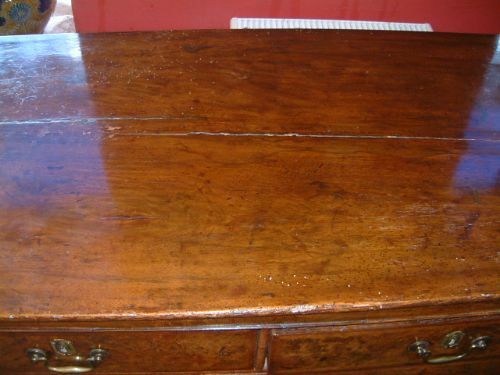 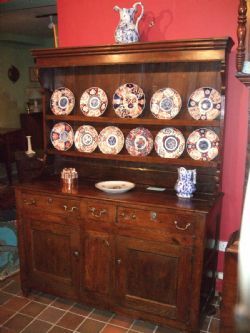 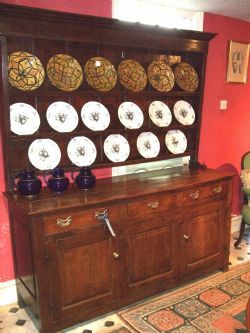 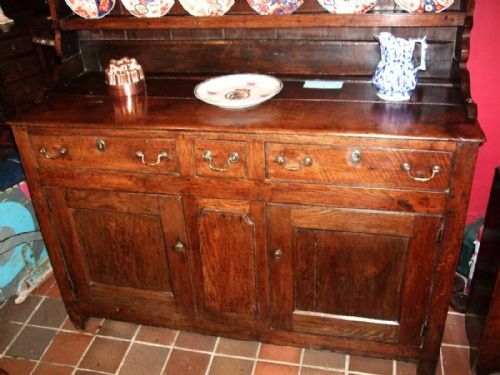 18thC Fruitwood Oak & Chestnut Dresser Superb Colour & Patination. 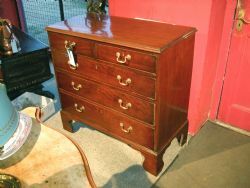 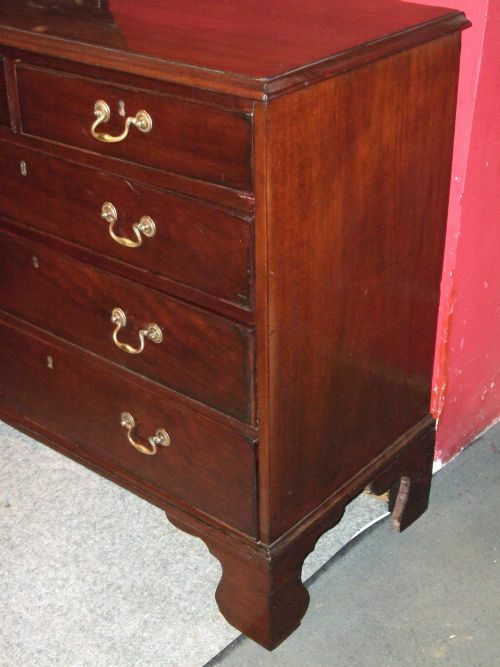 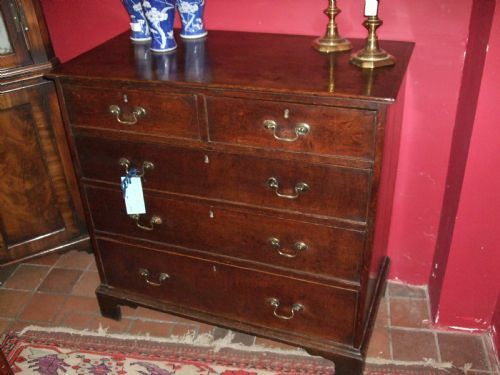 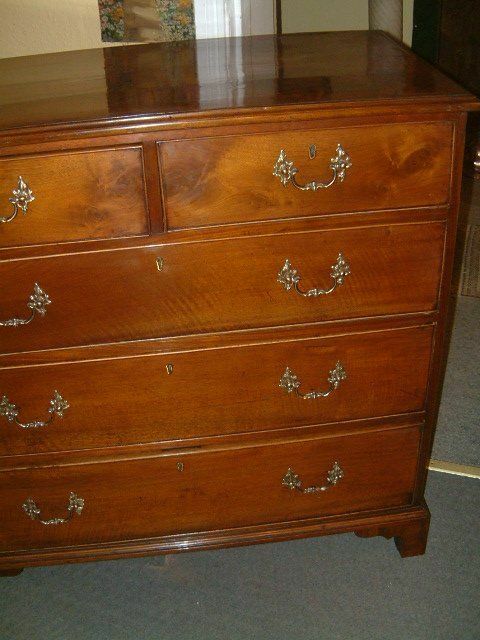 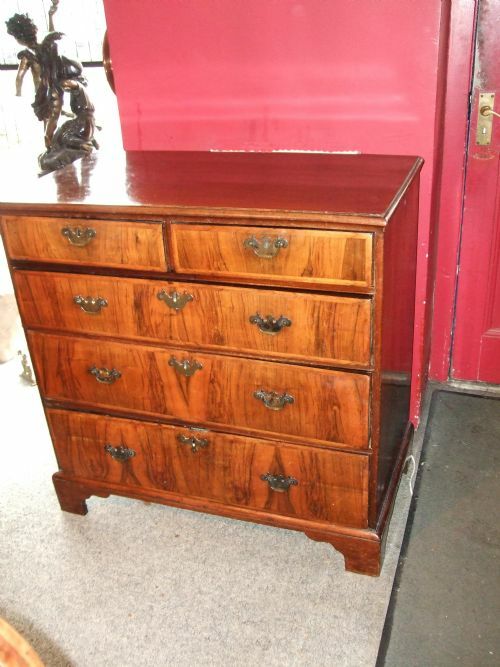 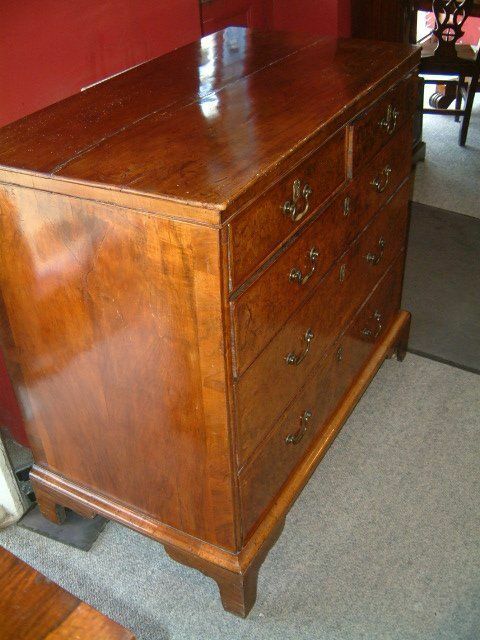 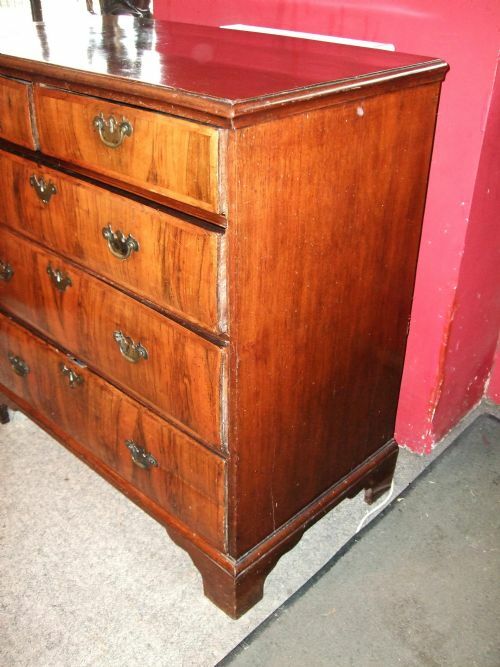 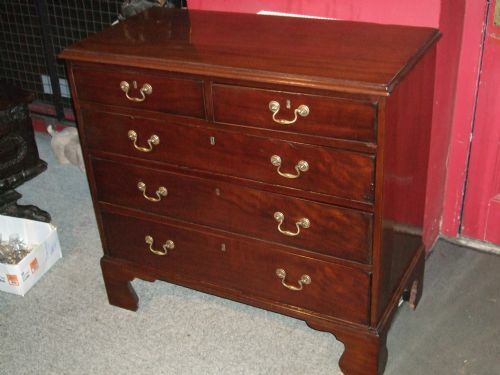 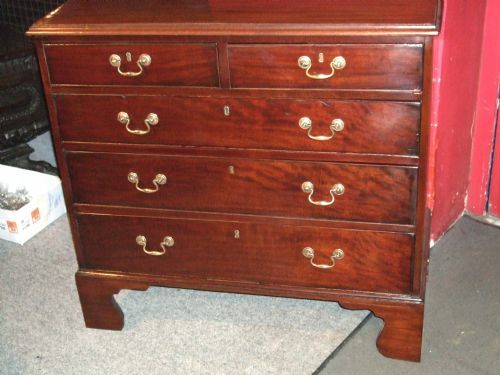 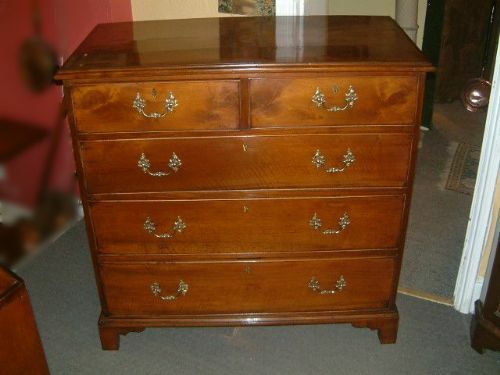 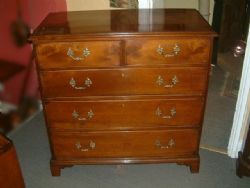 18thC Mahogany Chest of Drawers with Bracket Feet with Brass Handles Good Rich Colour & Patination. 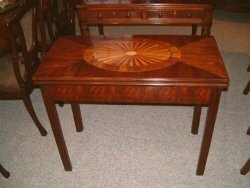 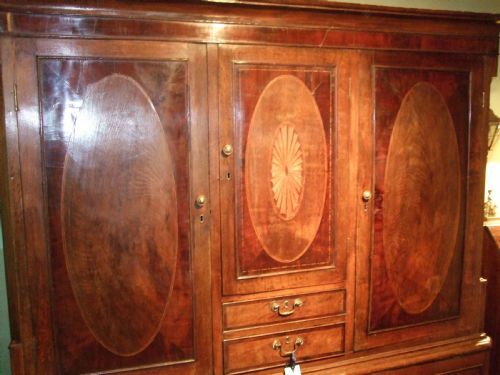 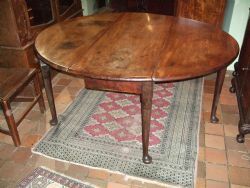 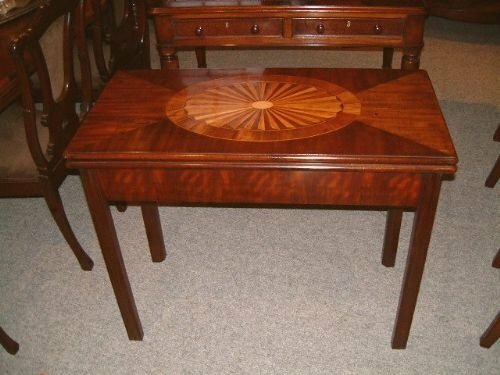 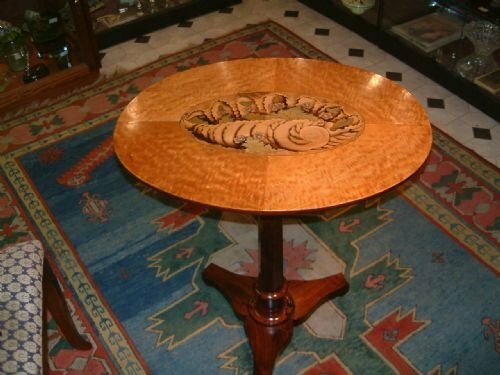 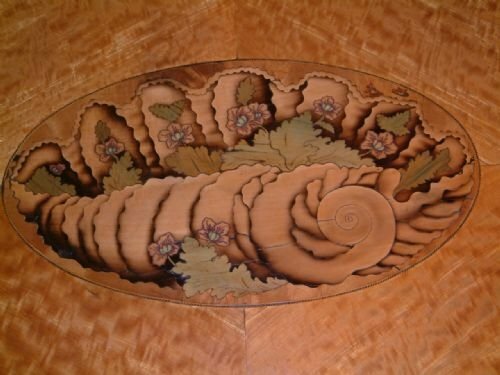 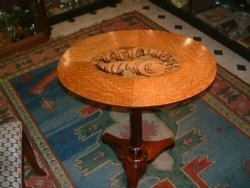 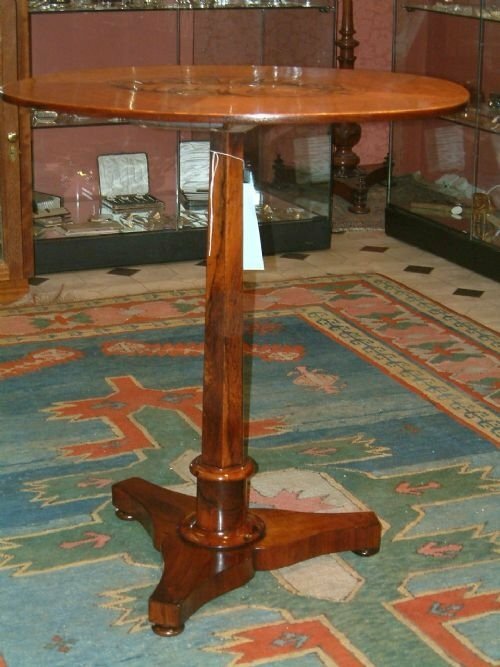 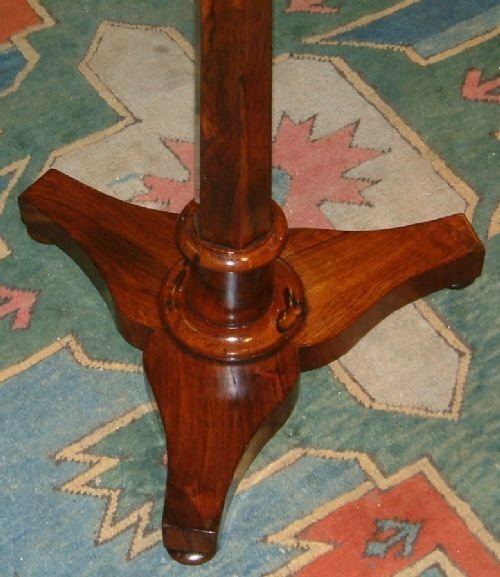 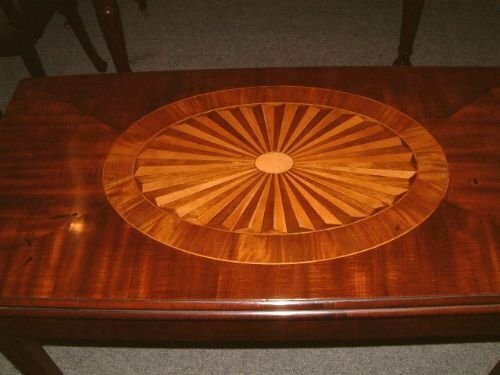 18thc Mahogany Inlaid Tea Table Quarter Veneered and Inlaid Top, good colour and choice of veneers. 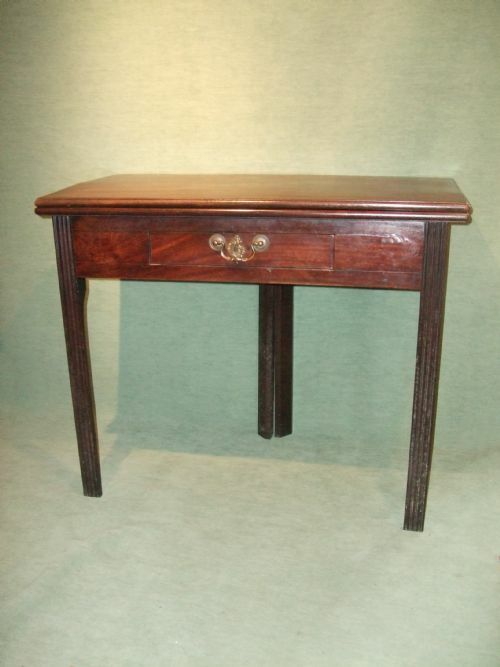 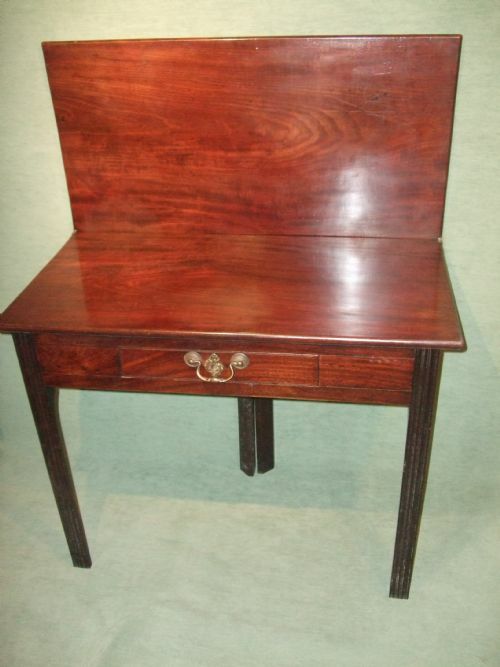 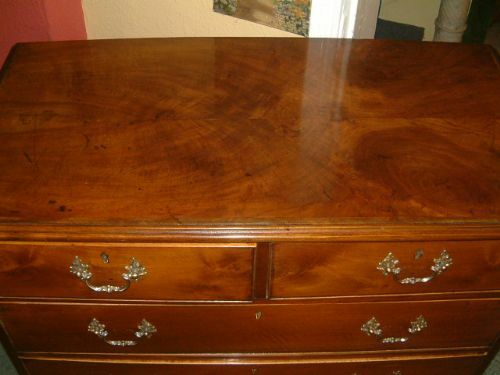 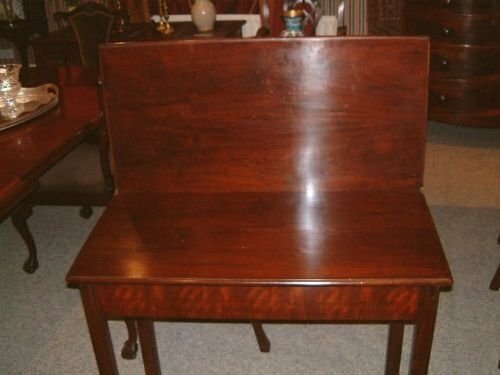 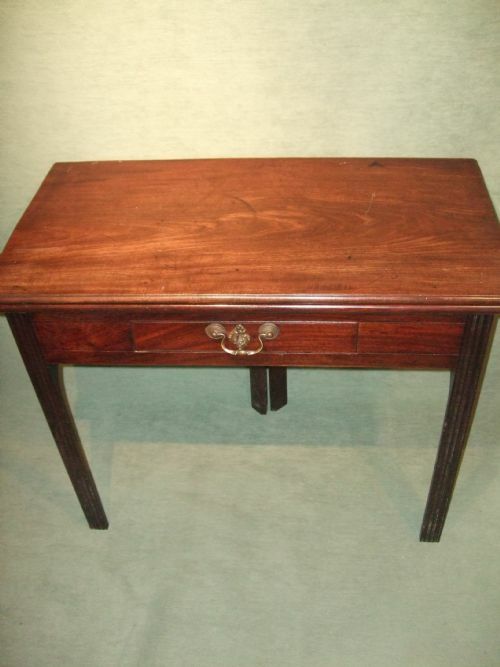 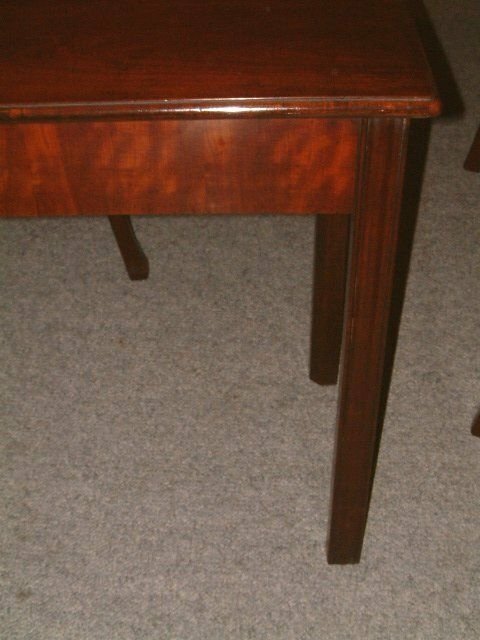 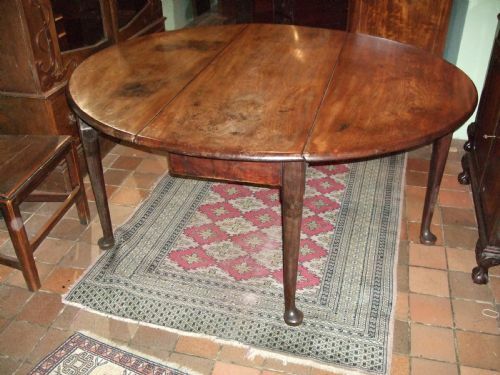 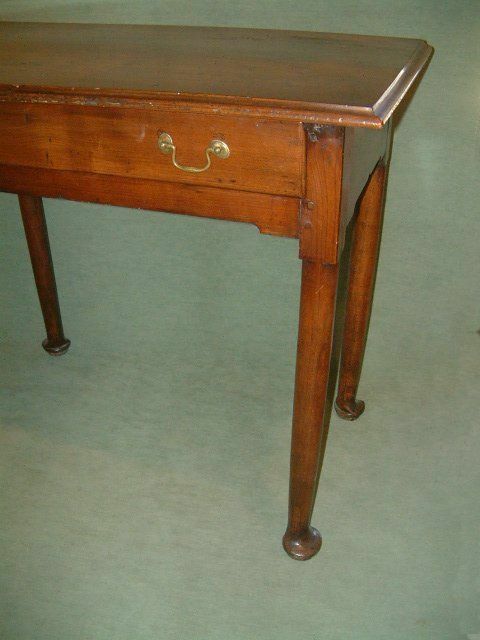 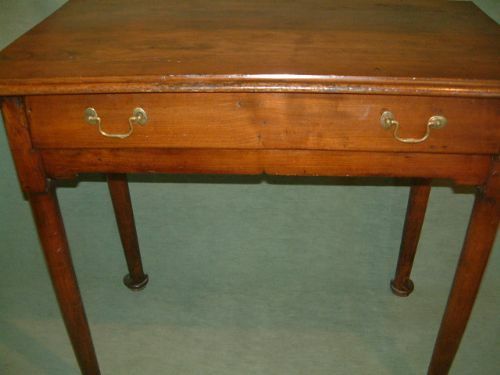 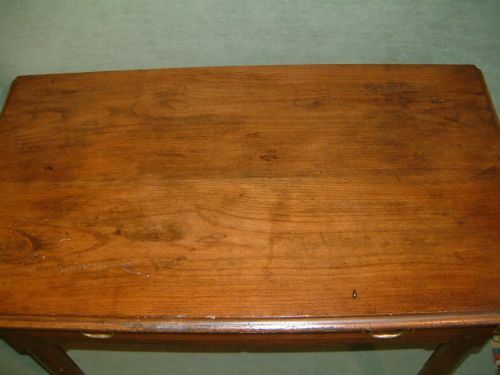 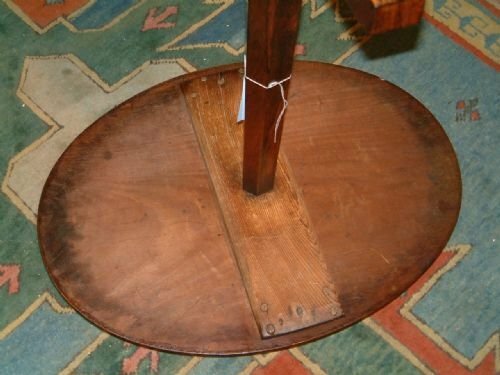 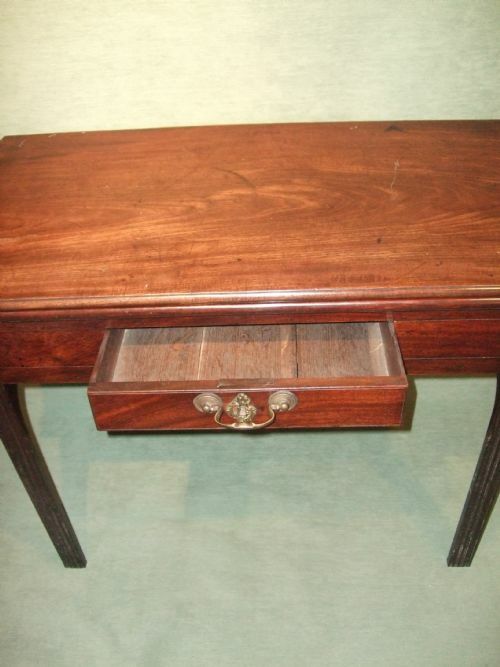 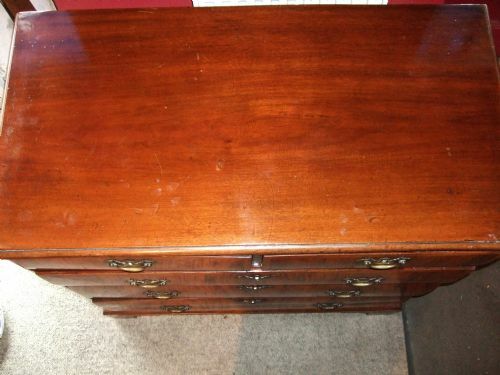 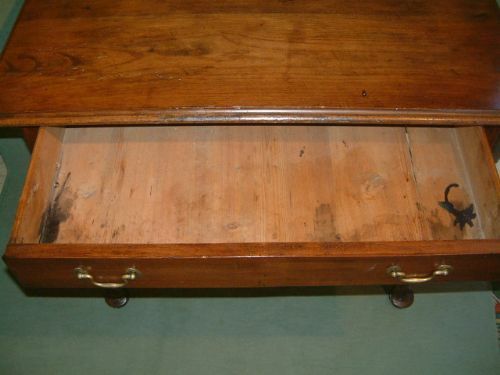 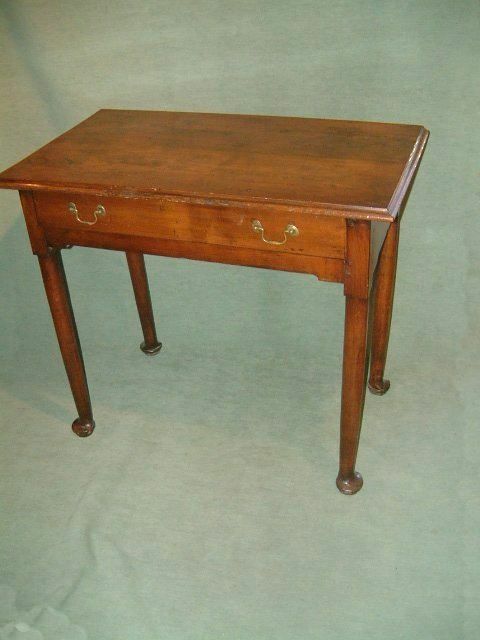 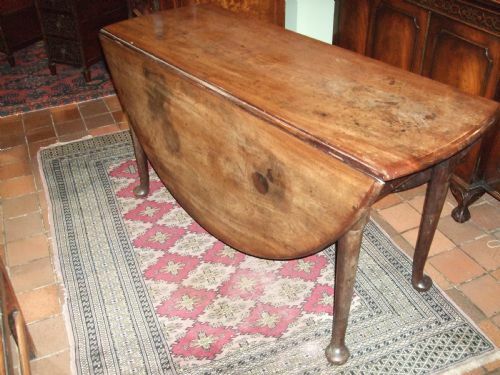 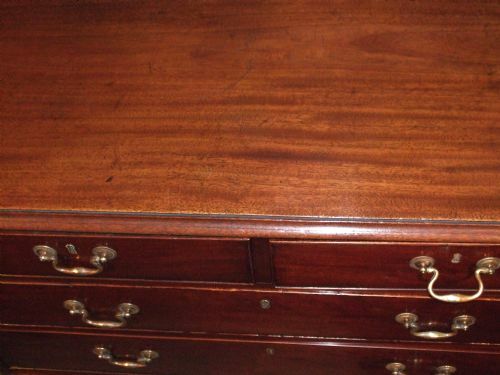 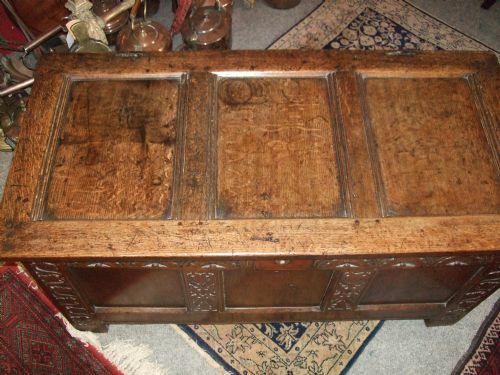 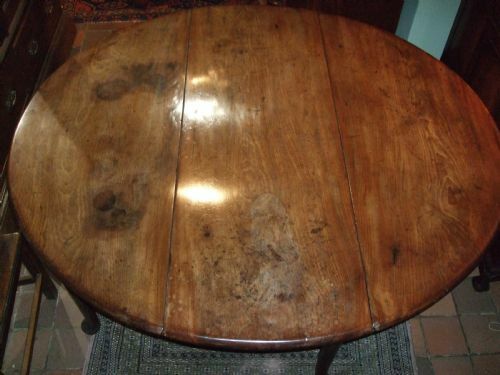 18thC Mahogany Tea Table with Drawer. 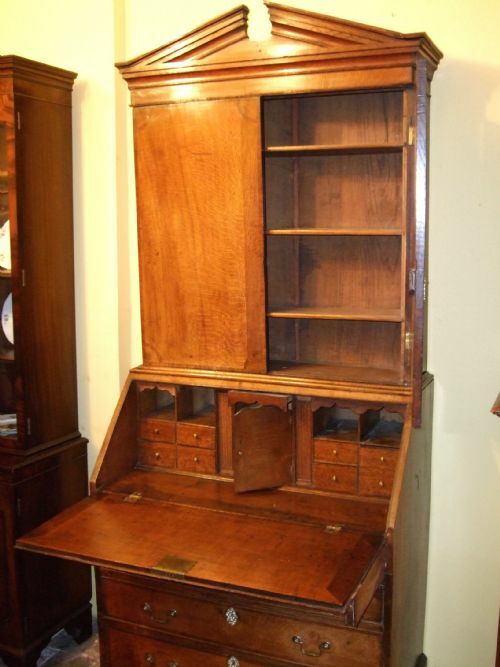 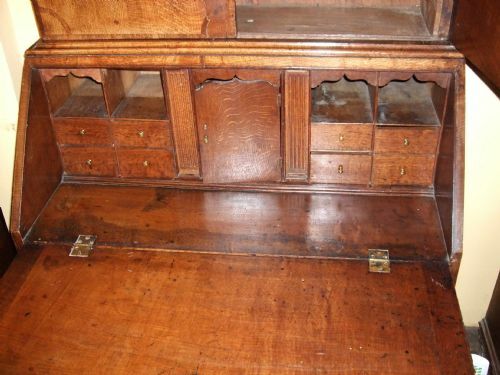 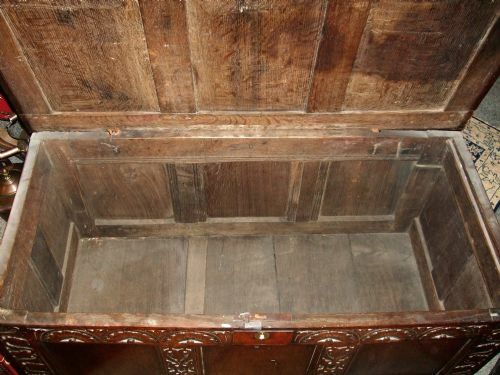 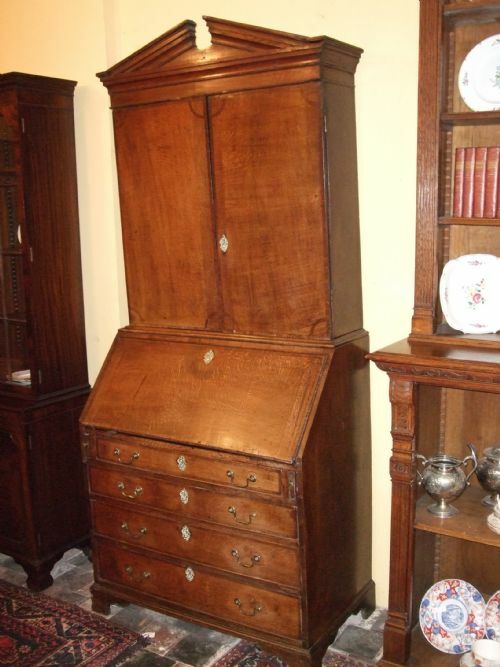 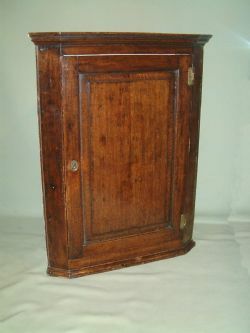 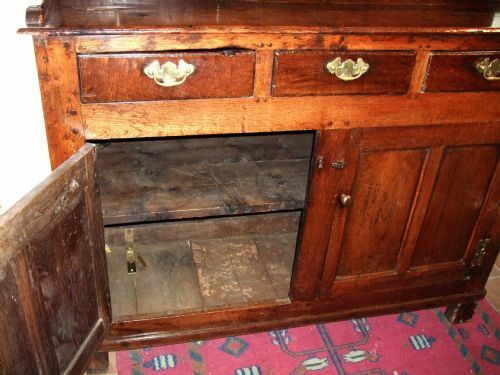 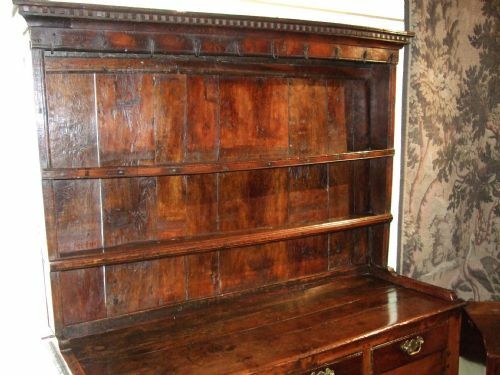 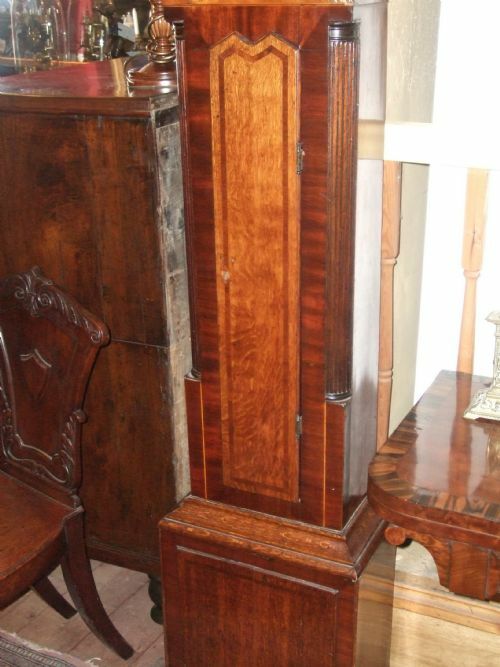 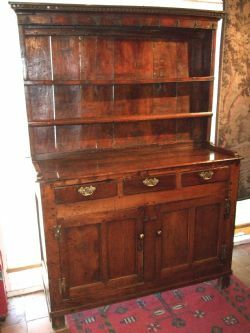 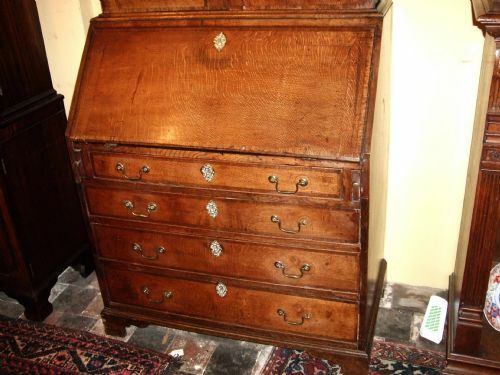 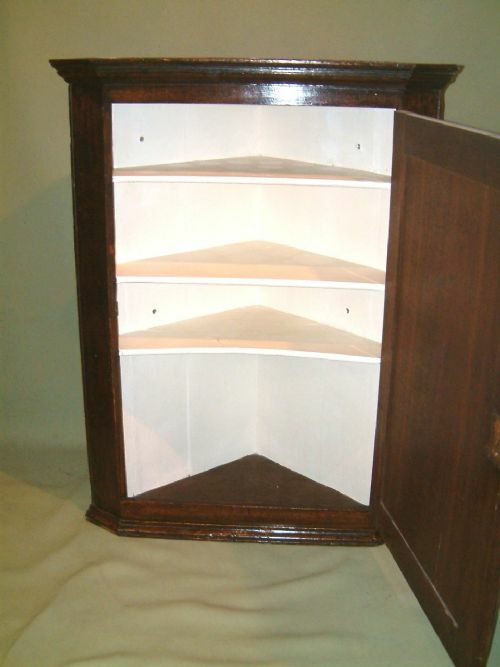 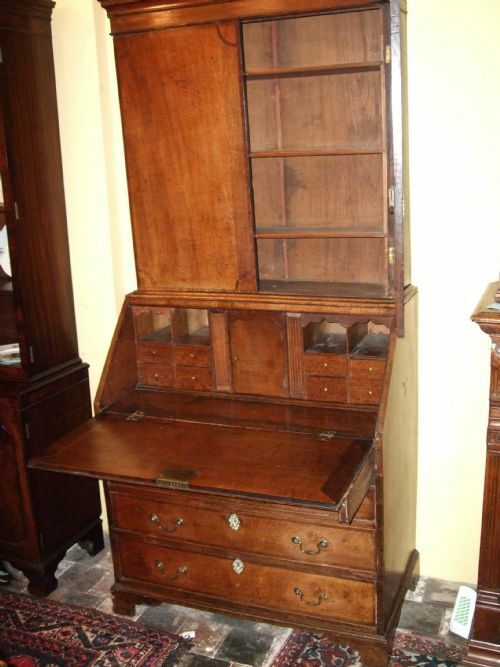 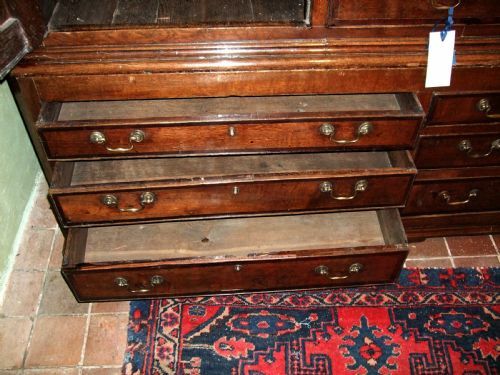 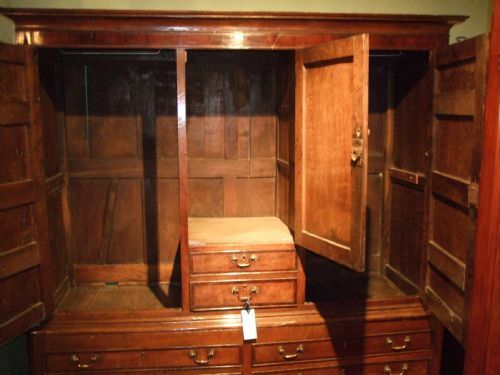 18thC Oak Bureau Bookcase with Crossbanding. 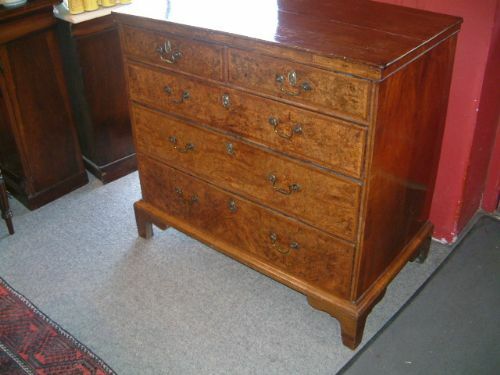 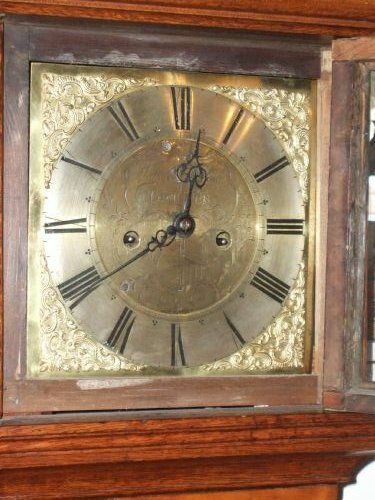 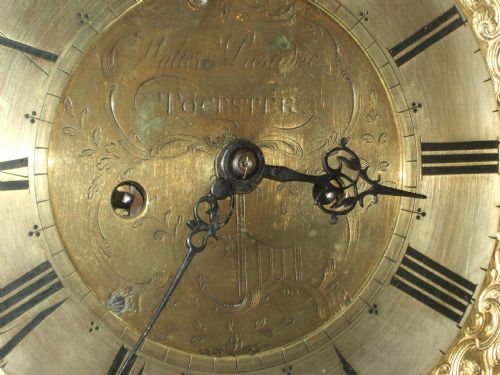 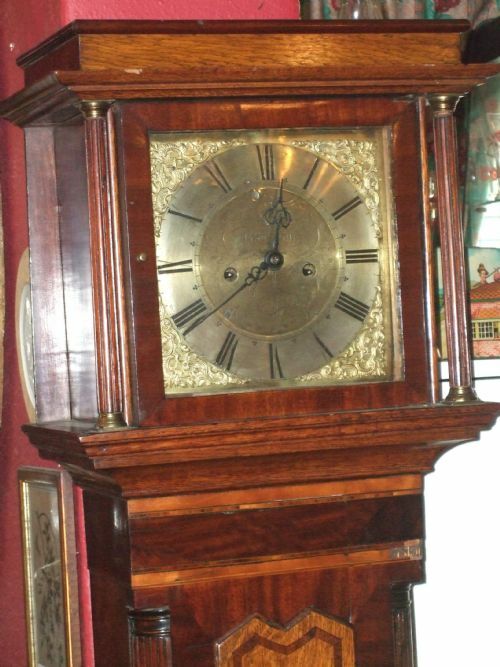 Excellent Colour & Patination also with Secret Compartments.Nicely Fitted Interior. 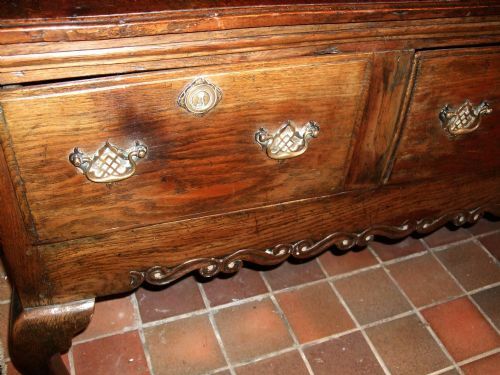 18thC Oak Chest of Drawers with Original Brasses. 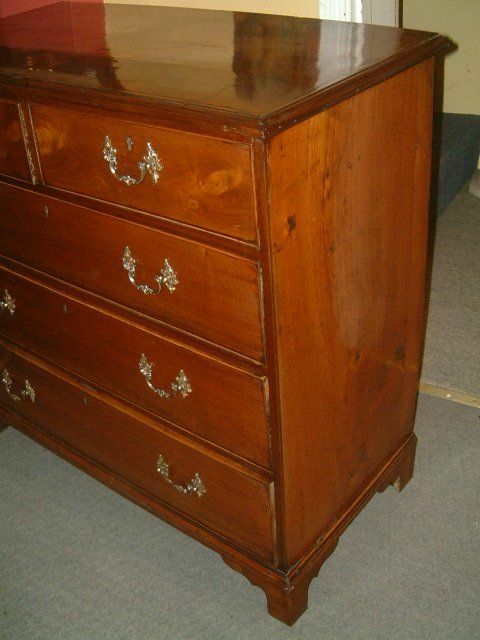 18thC Oak Chest of Drawers with Original Brasses Good Colour & Patination. 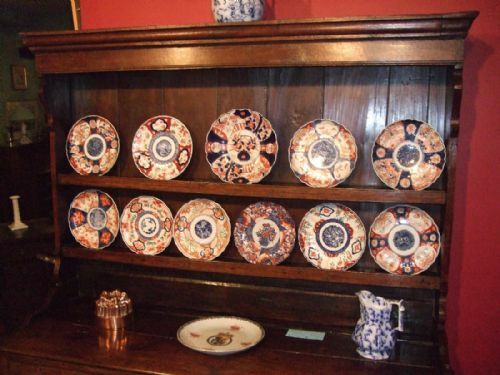 Crockery for Display purposes Only. 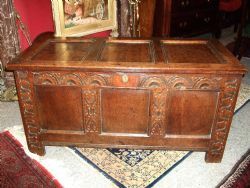 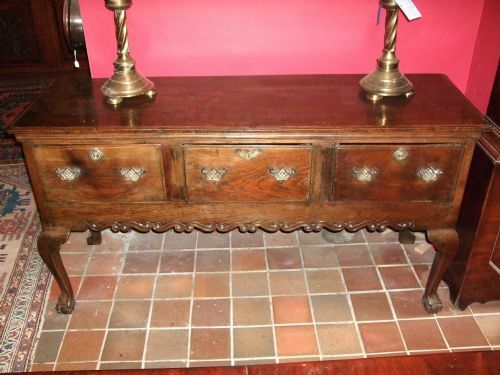 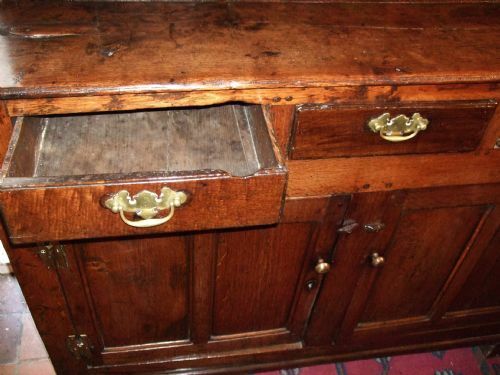 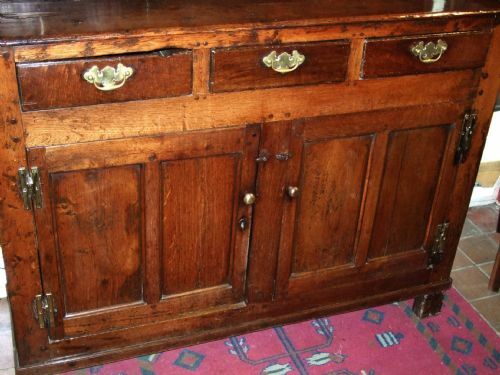 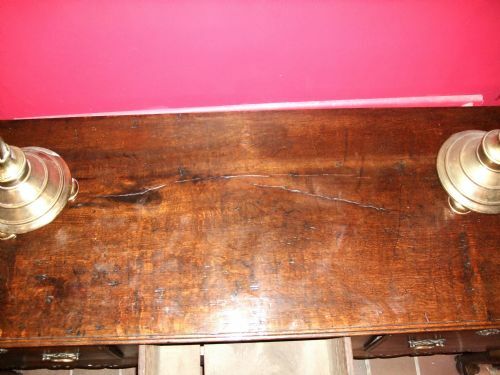 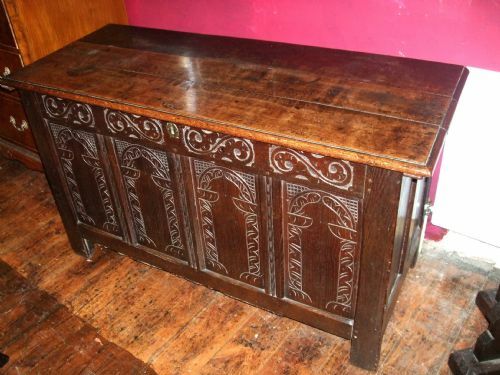 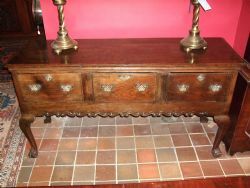 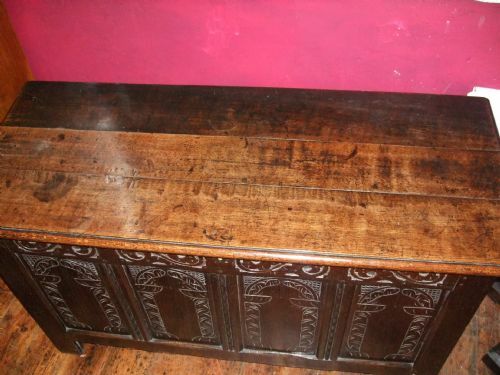 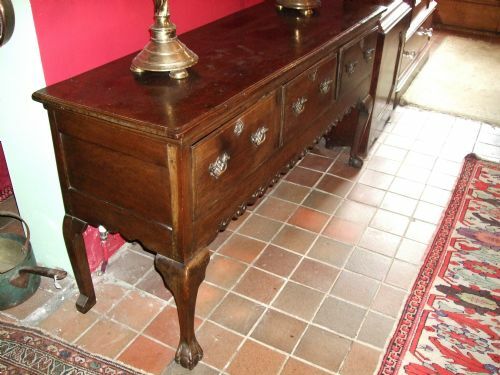 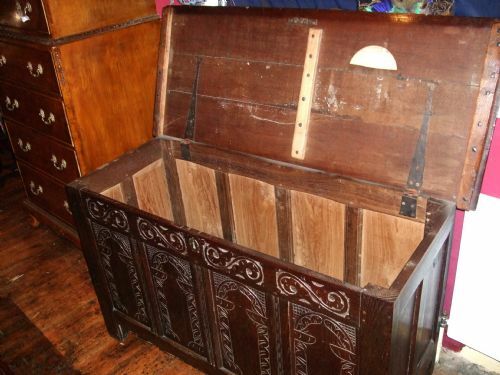 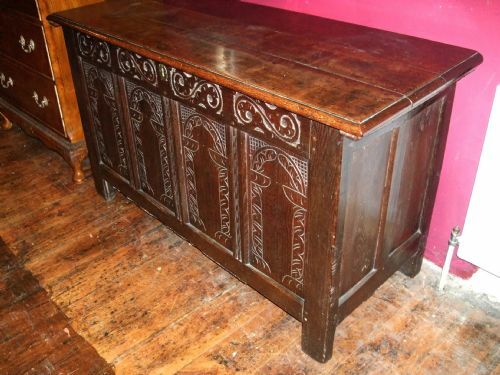 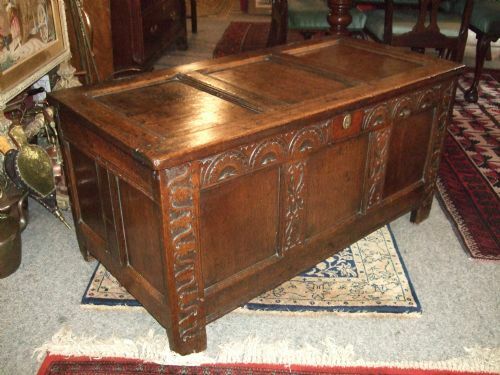 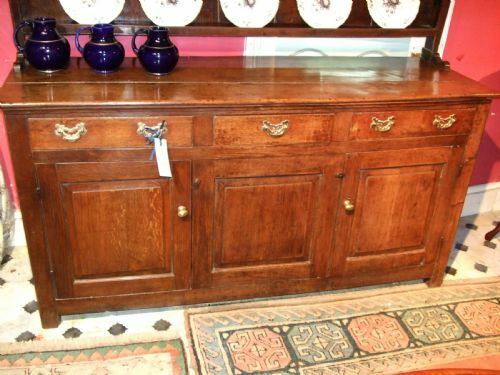 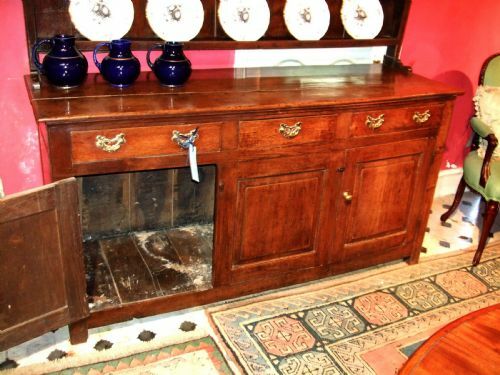 18thC Oak Dresser/Side Server with Rare Carved Apron on Cabriol Legs.